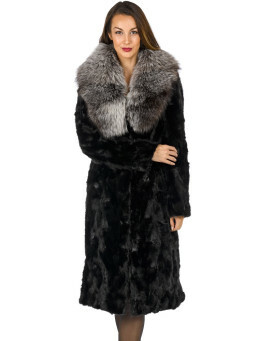 You are the essence of sophistication when you wear this silver fox fur coat from FRR. 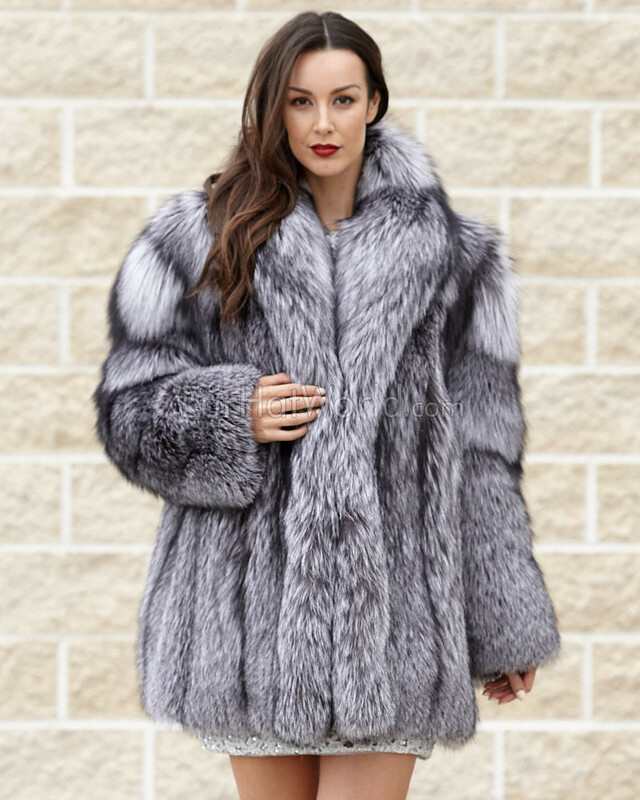 The Josephine Silver Fox Stroller Coat with Shawl Collar is wrapped with luxury and fantastic design. 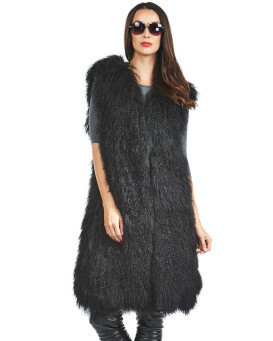 The drama starts with a large silver fox fur collar and ends in a trendy hemline. Sizes small to extra large can wear this jacket to enhance their wardrobe. A silky lined interior is fantastic atop a monochrome outfit. 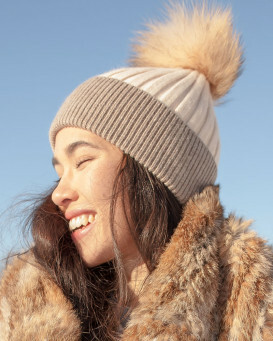 Two concealed hook and eye closures keep this coat warm to your body. 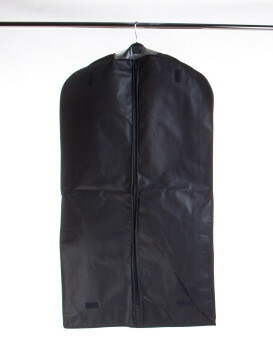 Two side pockets are capable of containing your necessities. 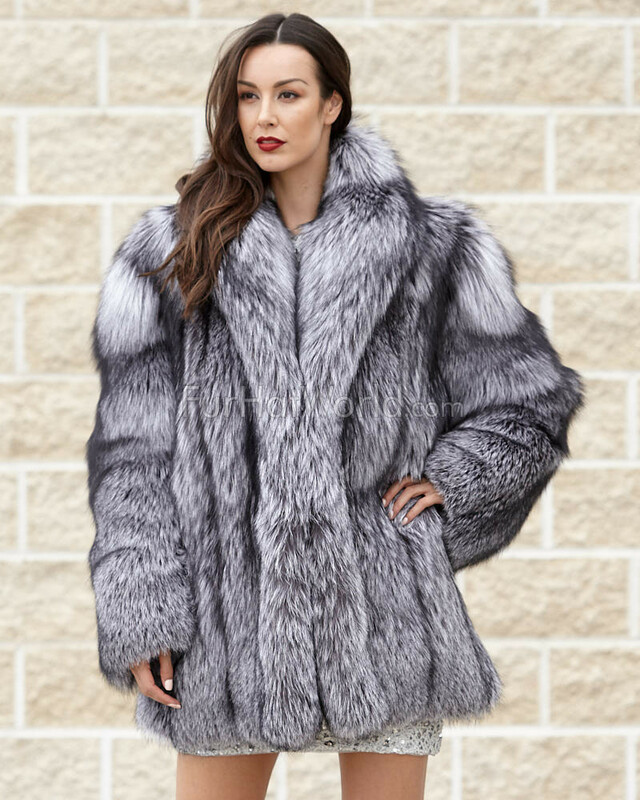 The Josephine Silver Fox Stroller Coat with Shawl Collar would look excellent on an outdoor adventure through the snow. Ring in the holidays with this festive jacket. 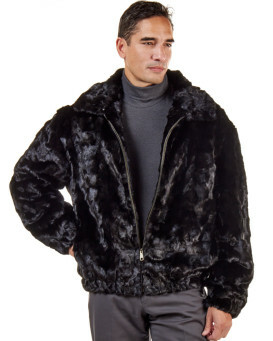 Crafted in all Natural Silver Fox Fur. 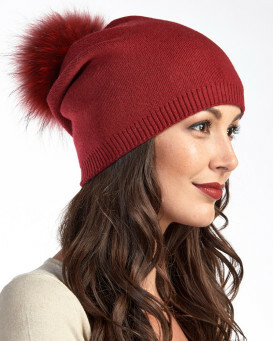 With long and sleek guard hairs this fur type is an amazing choice when crafting any garment. It is not only warm but extremely attention grabbing. "The product is surprisingly lightweight. Sleeves are very long but despite being XL the body of jacket not generous as pictures suggest. Very glamorous looking"